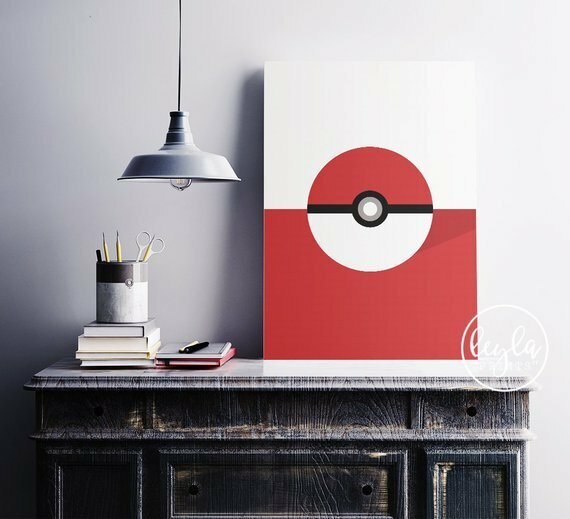 Looking for unique anniversary gifts for her? These anniversary gifts that are below are prefect for buying for her whether you are looking for your wife or to give your best friend. 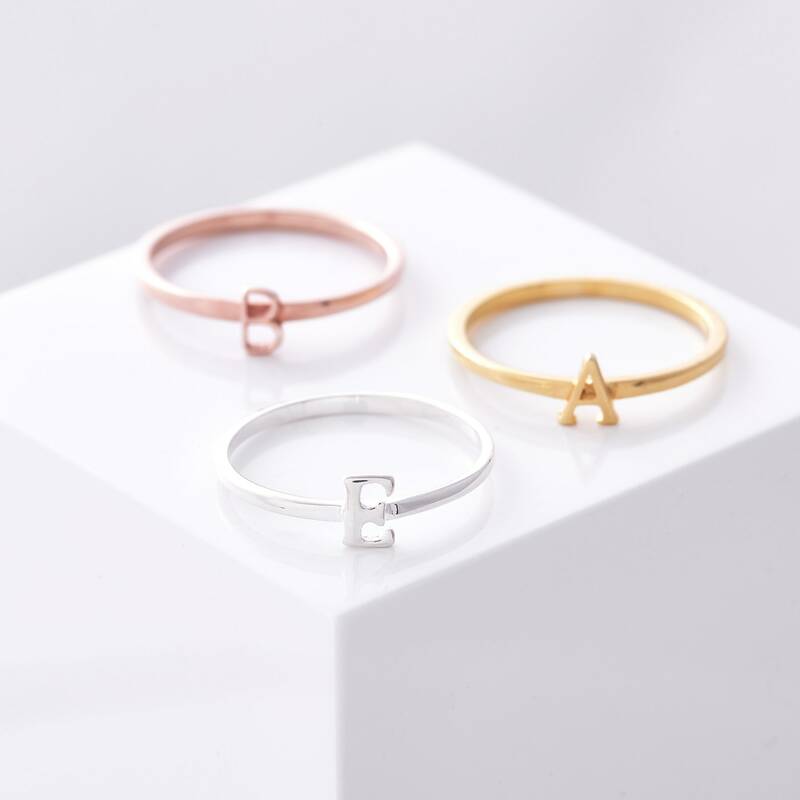 We’ve included a collection of gift ideas from beautiful, personalised jewellery to personalised prints which you can state what wording you would like. Many of these gifts can be personalised to include her name, your wedding date or a sweet message! No matter how many years you have been married for, your wedding anniversary is always a special moment so why not say how much you love her with an adorable gift! Take a look at these anniversary gifts that we’ve also featured for more gift ideas! A beautiful engraved compact mirror that you can add your own message to. This is a great personal gift to give for celebrating a wedding anniversary or for giving on her birthday. Add both of your names to this personalised token and keep as a beautiful keepsake. The message on this glass token says “All of me loves all of you” and is in a lovely script font. This would be a special gift to give for wedding anniversary to your partner. 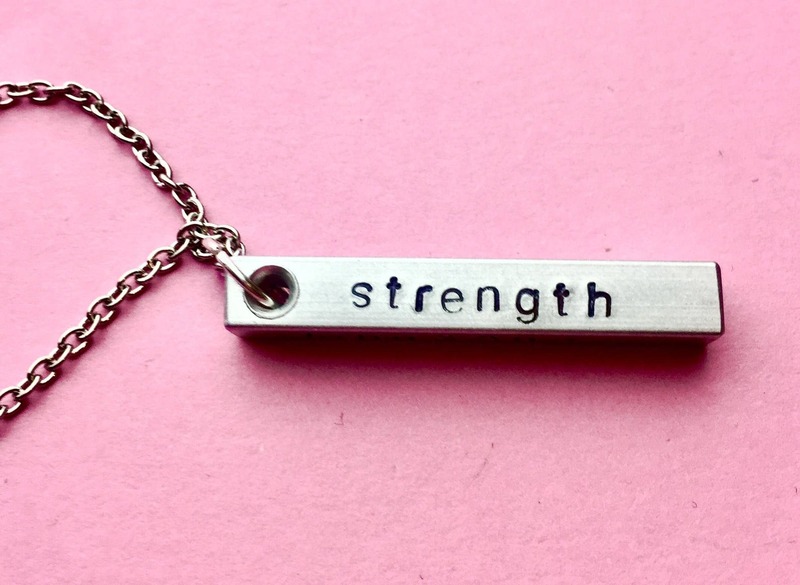 From displaying a special date to adding both of your names, you can personalise this bar necklace with what ever message you wish. This necklace is available from Etsy and you have the option to choose if you want to customise all of the sides of this necklace or just the one side. 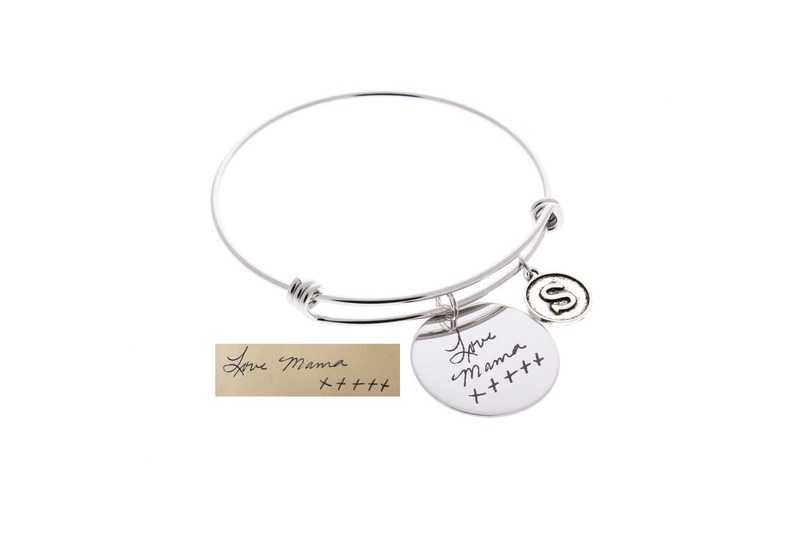 Have your own handwriting added on to a beautiful, personalised bracelet. 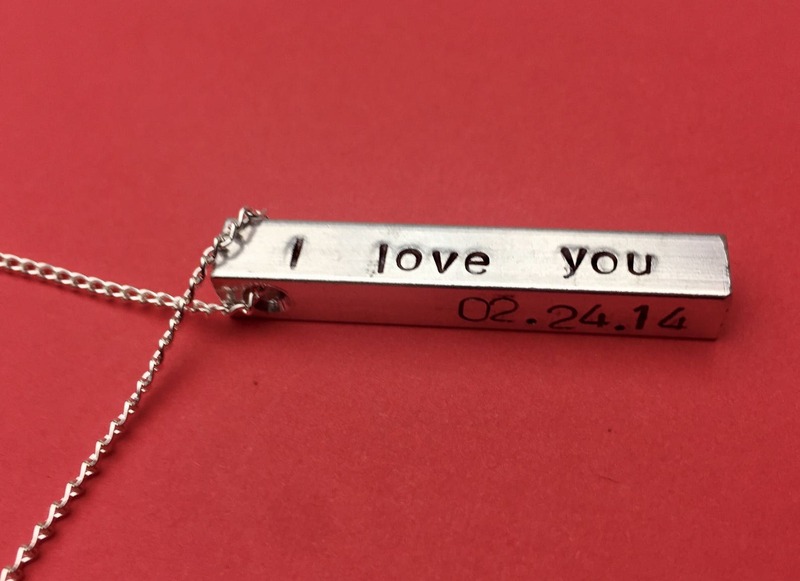 This is an adorable gift for showing your love to that special someone. This bracelet is available from Etsy and you can choose the size as well as the initial. Does she love a glass of wine? If so then this personalised wine glass is ideal! Add her name and a sweet message from you to this glass and give as a gift for celebrating your special occasion. This wine glass is available from Getting Personal, visit their website for more personalised gifts. A gift for both of you! This personalised couples mugs is a great gift to give for either celebrating a wedding or a wedding anniversary. Simply personalise to include both of your names and give as a cute personalised gift. Looking for jewellery to give her for celebrating your wedding anniversary? 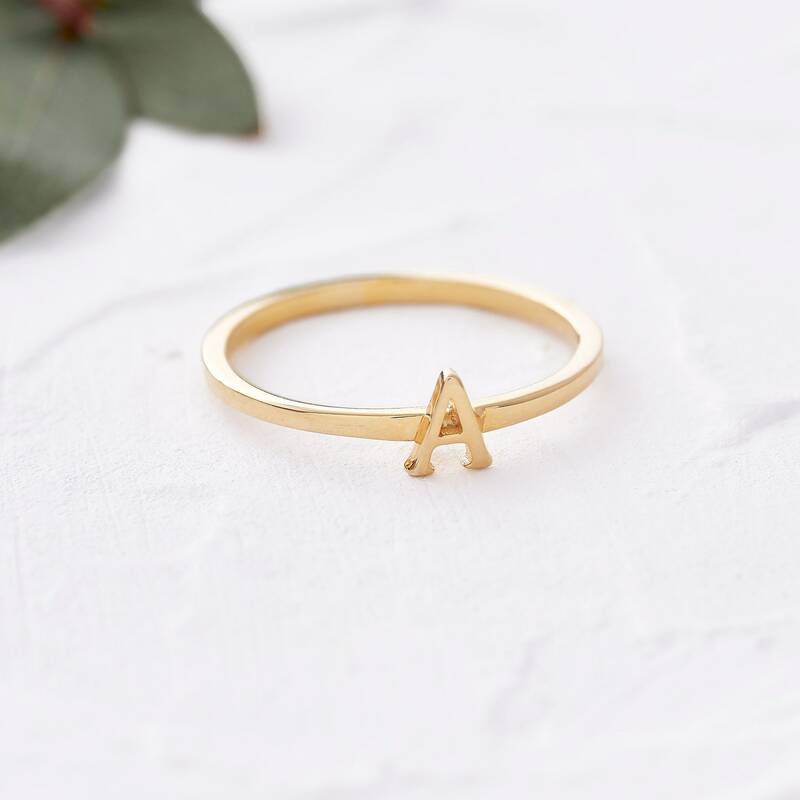 You can add her initial to this gold, silver or rose gold initial ring over on Etsy and this ring is available in a range of different sizes. 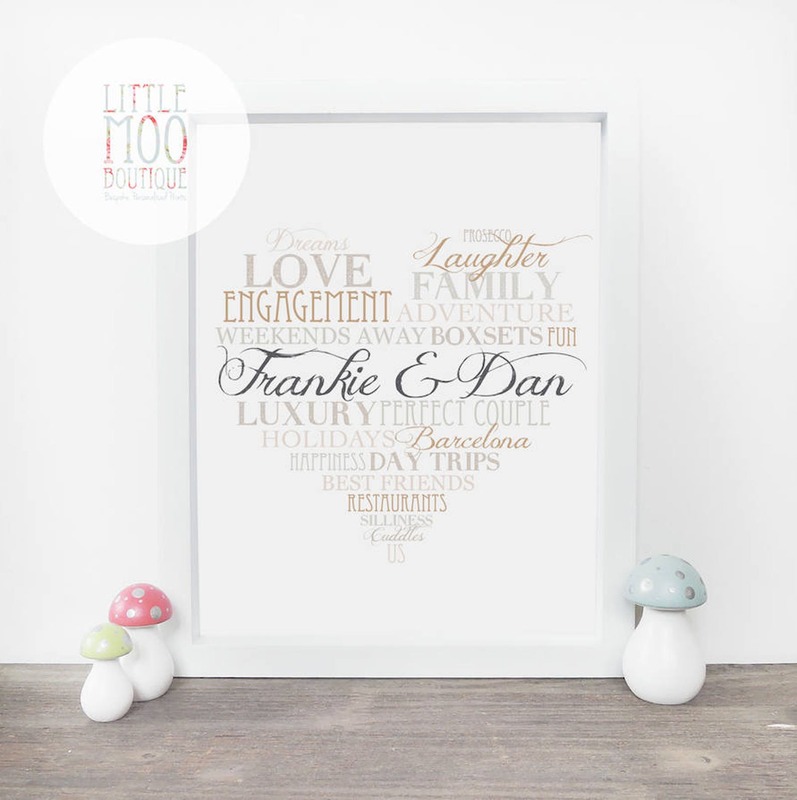 This print is a beautiful gift to personalise and give to celebrate your wedding anniversary. This print is available in 2 sizes and you can add all of the words that you are special to you!